To be the champion in Web Development and mobile apps development in the world. At DreamKoder, we believe that every website should be unique, beautiful, and speed optimized. We thus strive to achieve this by developing responsive websites and mobile apps that are speed optimized and bug-free. DreamKoder is a creative Web Development Agency. Built upon the core values of integrity, professionalism, and client satisfaction. DreamKoder exists to provide cutting-edge technology in web development by providing high-quality IT services and mobile app development at a fair price. We believe that the worldwide web is the epicenter of corporate development and thus strive to be the champion in web development and mobile app development. DreamKoder’s philosophy is pegged on the premises of customer satisfaction and thus offers inclusive, customer focused services that bring the world into your doorsteps. At DreamKoder, we love to help startup companies get a quota in the worldwide web. We thus support startups around the world by offering them the best price to help convert their dream into reality. Our clients are proud of our services and have brought in more clients as a token of appreciation for our high-quality services. “We code your Imagination” is our tagline. What a better way to visualize your imagination than putting them in a simple “coded form”. No matter the complexity of the subject matter, our programming experts will break it down for you and design a web page or an app tailored to your needs. We offer customized web development and app development services that blend well with the changing needs and trends in the Information, Communication, and Technological space. We exist to redefine a new era in website development and app development world by providing cutting edge technology tailored to meet our customer’s needs. We belive we have some qualities, which you will need for you next Website Project or Mobile App. At DreamKoder, we think every website should be unique, beautiful and should represent your brand. So we focus on creating something unique for everyone. Modern Design or User Friendly Design is key to success for every website. We use Web 2.0 on all our Website Design for flawless experience. Another factor to create a successful website is to create Google or Search engine Friendly Website.e We create structured websites, which has good impact on search engines. Responsive Website Design has been trending for last few years as people use different devices to access websites. Having a Responsive website means more users, more engagement and more business. Google officially announced that Page Speed is part of search engine ranking algorithm. The more the more speed optimized website you have, the higher your chances of being ranked in the first page by Google. Mobile App or Website with bugs can decrease your brand value. We at DreamKoder take No Bugs thing seriously. We provide a one month free support for any bug that may arise after your project goes live. At DreamKoder, creativity and Innovation are highly upheld. This is in line with our purpose statement that seeks to explore and define a new era in web development and app development. Design is an art and we have some serious artists in our team for your Graphic Design related work. The magic starts here. This is where the design comes alive. be it PSD to HTML5 or PSD to CMS, we are up for it. 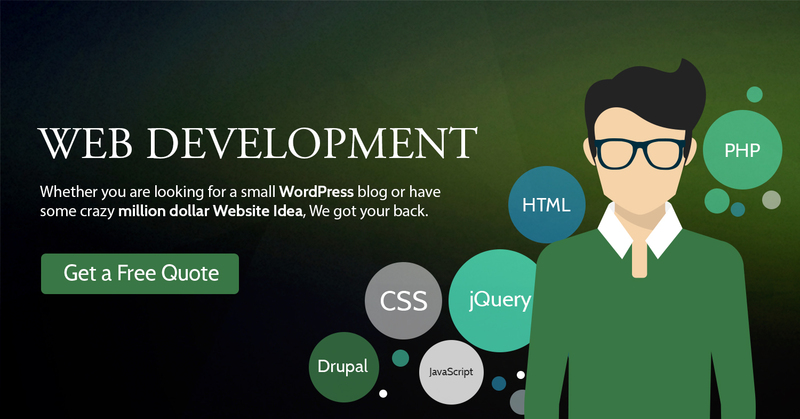 Whether you are looking for a small WordPress blog or have some crazy million dollar Website Idea, We got your back. App Store has some serious numbers of iOS Apps. Getting your bussines app into App Store can make some good impact on your business. Great communication, great execution, customer satisfaction oriented, reliable. Fast turnaround! Despite the different time zones we were in, work was done very efficiently and communication was fast and easy. Programming knowledge was up to the task. We run into some jQuery issue, as it is very common on a complex WordPress website, and we could resolve the issue fast and very satisfactory to the overall project. Highly recommended! DreamKoder is my NEW BEST FRIEND. I think I called him a "magician". What literally kept me up ALL night long trying to fix...he fixed in like...I'm not kidding 5 minutes!!! Almost embarrassing to me :-) I've used Elance for many many years. He is hands down the MOST responsive provider I've worked with. Seriously don't hesitate to work with him. Awesome awesome. I wasn't sure what the problem was -- only that a report that was pulling data from Twitter that was broken in several places. He did trouble shooting and immediately discovered the problem (Twitter updated the API) The report was fixed and working within 1 day! Get A free Quote for Website Design/Development or Mobile App Design/Development Projects. Tell us about your project which will help us to prepare a quote for you.